The biggest reason a home owner should consider installing a home security system is that it offers protection to family members from intruders. According to “Securing Home and Business” by Simon Hakim/Erwin Blackstone, homes without security systems are 2.7 times more likely to be targeted by a burglar. This indicates that the mere presence of a security system is enough in most cases to protect the home and its occupants from break-in. 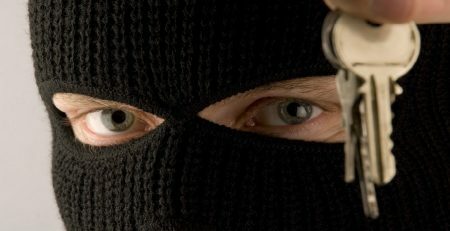 In some cases, burglars may still target a home either knowingly or unknowingly when members of the family are inside. For the burglar who enters the home expecting it to be empty, finding members of the family inside can cause enough shock and panic to facilitate aggressive behavior. Having a security system in place often provides family members with enough warning to get to a safe location in our outside the home while the security company dispatches local authorities. 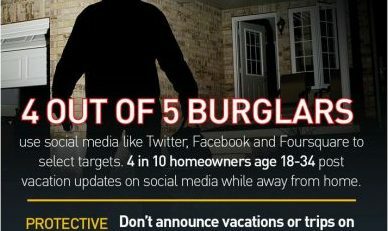 For burglars that enter a home knowing that family members are inside, their intentions are often much more malicious and the home security system again serves as an early warning system and calls the authorities. The mention of home security systems tends to bring to mind home intrusion scenarios; however, these security systems also provide additional protection barriers for homeowners. While many home owners rely upon stand-alone detectors from a hardware home improvement store, monitored Smoke & Fire Detection sensors offer greater benefits. Monitored Smoke & Fire detection sensors will alert occupants to the presence of smoke or fire, but they will also let Simpson Security know so we can dispatch the Fire Department. The saying goes, “where there is smoke, there is fire”, but that isn’t always the case. A fire could start suddenly without the presence of a lot of smoke. This is why it is important to incorporate heat detectors in places like the attic and garage. While heat detectors can be purchased without the installation of a security system, using a heat detector alone does not have the benefit of being professionally monitored 24/7. According to the U.S. Fire Administration, in just thirty seconds a small flame can turn in to a full blown fire. In just minutes of a fire breaking out, the home will be filled with thick black smoke that makes it impossible for family members to breathe. These two facts alone are enough to reinforce the importance of having monitored Smoke & Fire Detection sensors that will let Simpson Security know if there is an emergency. 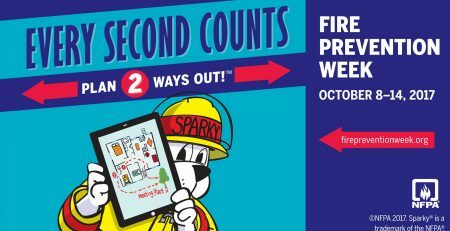 When a fire breaks out in your home, every second counts. Carbon monoxide poisoning is caused by a colorless and odorless gas that is found in combustion fumes. Within the home, carbon monoxide can be released from stoves, burning wood or charcoal, heating systems and gas ranges among other things. Since carbon monoxide is undetectable by the human senses, individuals are often blindsided by carbon monoxide poisoning that has been building up over time. In the human body, carbon monoxide is picked up by the red blood cells much more rapidly than oxygen is. As these blood cells release carbon monoxide into the blood, it begins to replace oxygen and this prevents tissues and organs from receiving necessary oxygen. The most severe cases of carbon monoxide poisoning can result in death. Other symptoms may include: dizziness, headache, chest pain, nausea, vomiting and confusion. Carbon monoxide leaks can be discovered via carbon monoxide detectors. These small devices resemble smoke detectors and can be purchased alone or as part of a home security system. 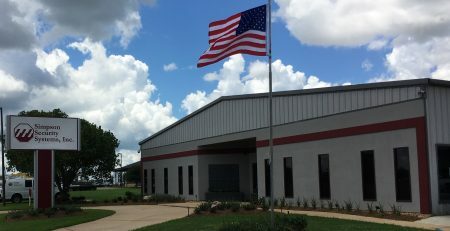 Similar to a home security-monitored smoke detector, the benefit of having these devices installed, as part of a home security system is that it provides emergency personnel dispatch when connected to a Monitoring Station. The faster individuals are able to leave the home and receive medical treatment, the less severe CO poisoning symptoms will be. The presence of a home security system provides many families with a peace of mind knowing that their home is protected from a variety of devastating scenarios. When home owners are elderly, incapacitated in some way or frequently left home alone, this peace of mind is invaluable. For the elderly who may be unable to get out of a home with the speed required in many dangerous situations, home security systems dispatch authorities that are capable of assisting. For those who are incapacitated and unable to leave the home, home security systems not only monitor all areas of the home, but again, they dispatch authorities when needed. Some home security systems also provide medical alert pendants for users to wear that are designed to call for help for specific medical situations. Finally, home security systems are beneficial for families that often leave family members home alone. Whether it is children of working parents being left alone, or whether it is spouses of the military who are frequently left alone for extended periods, home security systems provide peace of mind. Throughout our lifetimes we collect and purchase a slew of items that have meaning to us. From sentimental inheritances to big ticket purchases, these things represent who we are and the accomplishments we have made. When burglars enter our home however, our feelings towards our possessions are the furthest thing from their minds, as they focus on the retail value of what they are taking. Each year it is estimated that there are some two and a half million burglaries across the United States. These burglaries cost homeowners some $3.1 billion with the average loss per burglary at around $1,700. For most homeowners, the presence of a home security system is enough to deter burglars but when it is not, it serves an additional function. 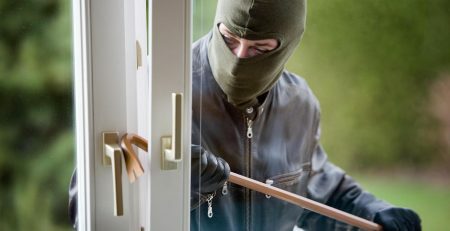 As well as signaling authorities that the home has been burgled and increasing the chances that intruders will be caught, the cameras installed with many modern security systems catch the intruders in the act. 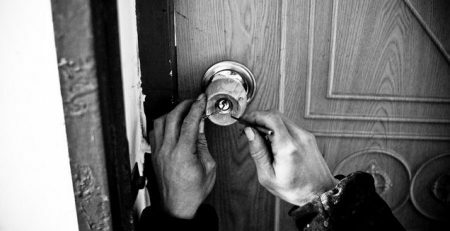 Having visual documentation of the home intrusion increases the likelihood that the burglar will be identified for the crime committed. Video footage also helps homeowners create a record of what has been taken from their home during a burglary. One of the biggest benefits to having a monitored home security system is that it provides constant monitoring even when you are unable to do so yourself. Leaving town for business or going on vacation can be nerve wracking even with a home security system. But with monitoring services, there is always someone to respond to emergency situations. These services do not act like house sitters, but they do track significant events and dispatch emergency personnel when needed. Home security systems are able to respond to alarms triggered as a result of a fire, a carbon monoxide leak, a significant temperature drop or increase, an intruder, or a natural disaster such as a flood. Without the watchful eye of a monitoring company, the damage caused by these tragic events could be much worse than they otherwise would be. Homeowner’s insurance is designed to cover private homes and the possessions therein from losses or damage that can occur as the result of a number of devastating events. Homeowner insurance covers most events such as fires, tornadoes and hurricanes. Flood insurance is generally not included and must be purchased separately since floods are a more common occurrence. The cost of homeowners insurance is generally not taken into consideration by first time homeowners when buying their home. Usually, a significant discount is given to homeowners with home security systems installed. The total discount given as a result of homes having security systems differs based upon the features of the system. For instance, a system monitored by a Monitoring Station should provide a larger discount compared to one that is not monitored. The amount of coverage purchased initially and the company offering the insurance also matters. In general, homeowners receive a 10-20% discount on their insurance by having a functioning home security system installed. For some homeowners, the ability to keep an eye on their home even when they are away is one of the biggest perks of having a home security system. As technology has improved, many home security systems now allow users can access their home security system remotely. This type of system allows the home security to be remotely armed/disarmed. They also let you view cameras, control lights, air conditioning, and receive live alerts on your phone. All of these functions not only allow homeowners to watch for intruders, but they also help to protect the home remotely. Turning on lights at a specified time through remote access can help to give the illusion that someone is at home even when they are not. Accessing your air conditioning can help to prepare the home for sudden temperature changes to prevent pipe damage and can also help to save on electric or gas bills. In most cases remote access comes with a small fee, but it offers homeowners the opportunity to take charge of their home even when they are out of town. Medical conditions are a real concern for many homeowners and many home security companies offer medical alert pendants or emergency pulls. These types of devices are designed so that individuals can press a button or pull a cord and immediately have emergency services dispatched to their home. Most commonly these types of services are requested by children of elderly parents or by family members of sick individuals. One of the biggest concerns for family members of the elderly is the potential of falling. Fortunately, with a medical alert pendant, the person can signal the authorities if they fall. This service can be used to signal authorities or medical professionals in the event of seizures or other medical emergencies. This feature is not standard on many home security systems, but is common enough that it can be obtained for a fee. Home automation is a relatively new concept and as such it is not offered by many home security companies yet but is becoming more popular. This service allows users to access and control the lighting, thermostat and, in some cases, small appliances of the home through remote access. Some homeowners utilize this feature to shut down heating and cooling when no one is home. They can also log on and adjust the temperature before leaving work so they arrive to a comfortable home. Other home owners use this feature to turn on lighting in the home before they leave their office so they do not have to enter an unlit home. This feature is also beneficial for deterring intruders since it allows homeowners to make it look as though someone is home when they are not. Security systems not only protect family and possessions, but they also provide protection for pets. If a fire were to break out when no one but the family pet was home, without a home security system, that pet would be doomed. Home security systems mean that homeowners do not have to depend upon neighbors to watch over their home when they are away. There is less chance of human error with security systems. Home security systems prevent home intruders from staying too long if they do gain access to the house since there is a higher likelihood of them being scared away when an alarm is sounding loudly. Modern wireless security systems are affordable and much easier to set up and maintain than the wired systems of the past. Having a home security system installed actually increases your home value when it comes to selling your home. As an added bonus, it also keeps your home protected throughout the selling process where a number of strangers will be inside your home. A majority of large home protection companies offer 24/7 monitoring and support of their security systems, which reduces the likelihood that the security system will fail and your home safety would be at risk. Some home security systems that come equipped with outdoor cameras allow for homeowners and their families to see who is at the front door without going close to it. 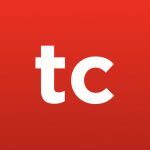 This feature is particularly useful for families with children of working parents who often have to leave children at home alone. 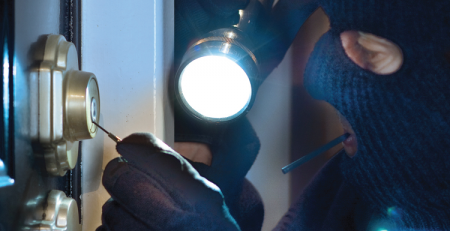 Most burglaries take place between 10 am and 3 pm when the majority of homeowners are at work. If so, please share this post with you friends or leave a comment below! I like what this article mentions about some alarm systems having remote monitoring features. I think it could be nice to be able to watch the home when gone as it could provide a peace of mind I couldn’t get otherwise. I’ll have to keep this in mind when looking at different types as I really would like a video system that I could watch remotely. Thank you for all of these great reasons to get a security system! One thing that really stood out to me was that you will have professionals monitoring your house when you are unable to. I always feel a little bit of worry when leaving my house unattended, and it sounds like this might be a solution to that. Nice post! Your blog is too interesting and informative. Thanks for telling me about best home security systems. It enables me in making best selection of security system for home.Thanks once again! That’s so cool that some security systems now will let you keep track of things on your phone like controlling lights and the AC as well as seeing the cameras. I just had a baby girl, so now I’m more concerned about security than ever before. I’ll have to find a good system for my house so that we are all safe. Having a custom alarm system that allows you to get medical assistance as needed would be a nice feature to have. My mom has been in and out of a wheelchair for a few months now because her health is kind of in a state of flux. It would be good for her to have a way to contact someone if she ever were to fall and needed help. We’ll have to look into it and see if we might be able to get something installed in her home. I like that you point out that you can keep track of your home remotely with a security system. My uncle has a couple cameras set up around his house for when he’s gone. I’m sure it’s really comforting to have that available. I want to make sure that my home is safe. It makes sense that a good security system would make for a sound investment! I’ll be sure to get one so that I don’t have to worry about any sort of intruders in my home. I think having an alarm system is a great idea for any homeowner. Insurance companies will occasionally offer discounts if you have one and like you said it deters would be burglars. I’ll have to pass this along to my friend who is thinking about getting an alarm system. Thank you for the information. I want to make sure that my home is safe. It makes sense that I would want to get a security system! That way I can keep people from getting into my home without my permission. My husband and I moved to a new neighborhood, and we have been thinking about getting a new security system for the house. That is great that getting a security system can give us a discount on our homeowner’s insurance as well as protect our things. That would be really nice! We will have to look into getting a good system. It’s interesting that you mentioned security systems helping elderly people feel safer at home. My wife and I have been getting a security system after our neighbors were robbed last week. It would be smart to have one installed because my father often talks about being afraid of an intrusion. I liked that this article pointed out that having a security system can help you document what items were taken during a burglary. My had someone break into her garage last year and several things were taken that they needed to report to the insurance company. I think that having a video recording would be very beneficial as it would help you remember things you didn’t notice were missing at first.